Ethan Lenhart listens as Dr. Jose Calvar III talks about using his full voice in his performance. These words from a true professional in the field of choral music, that of Dr. Jose “Peppie Calvar III, assistant director of choral activities at Syracuse University’s Setnor School of Music. Dr. Calvar was a recent guest volunteering his time in Mary Ann House’s chorus classes at Altmar-Parish-Williamstown Junior/Senior High School. House arranged to have Calvar visit the school and teach master classes to small groups of her students. He also worked one-on-one with select advanced students as well. 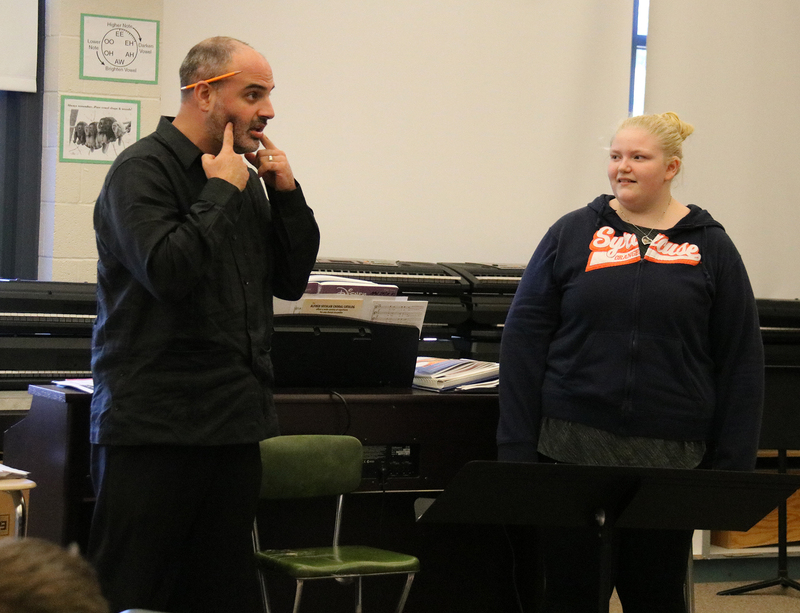 Dr. Jose “Peppie” Calvar III works with Alexis Johnson during a small group master class at Altmar-Parish-Williamstown Junior Senior High School recently. 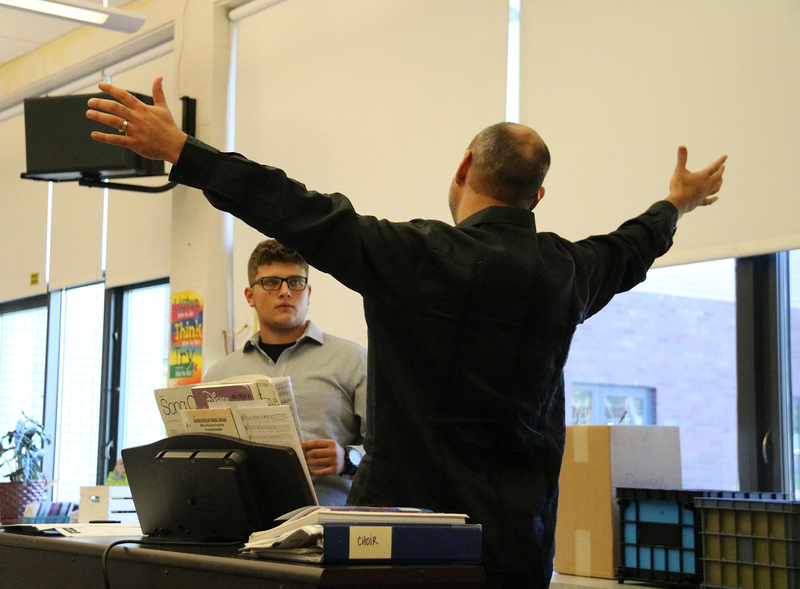 The Assistant Director of Choral Activities at SU’s Setnor School of Music was a guest in MaryAnn House’s chorus classes at the school. His passion for music, coupled with his sense of humor and unbounded energy was infectious to the students he worked with during the day. Laughter and positive criticism resulted in a renewed sense of confidence in the students’ vocal abilities.